Texas troubadours Shane Smith & The Saints have confirmed new tour dates for 2017. This year’s schedule is their most ambitious to date as they crisscross the country and beyond headlining major markets including New Orleans, Atlanta, Denver and more. In addition, the band will play two shows abroad in Malaysia including the Miri Country Music Fest. Combining elements of rock, Cajun folk, Celtic/Irish and Americana with their “awe-inducing harmonies and stellar musicianship” (No Depression), Shane Smith & The Saints kicked off the tour at The MusicFest in Steamboat Springs, CO on January 5. 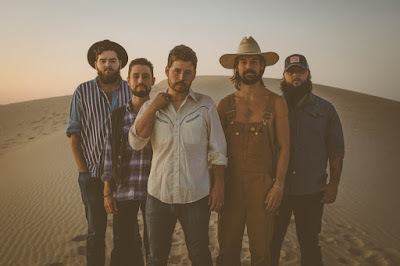 2016 proved to be a fantastic year for Shane Smith & The Saints as they continue to maintain momentum from the release of their sophomore album, ‘Geronimo.’ The band made their major festival debut in their hometown at Austin City Limits Festival and continued on the circuit playing to major crowds at Texas Mardi Gras Fest, Rio Frio Fest, Larry Joe Taylor’s Texas Music Fest and Lone Star Jam. The band shared the stage with a plethora of artists including Ryan Bingham, Eli Young Band, ZZ Top, Turnpike Troubadours, Shakey Graves, Lynrd Skynrd and more. Shane Smith & The Saints’ current single, “Runaway Train” continues to climb the TRRR (Texas Regional Radio Report) chart with a bullet. You can give it a listen here and watch an acoustic session here.